3:36 - That's a wrap for the general session today! 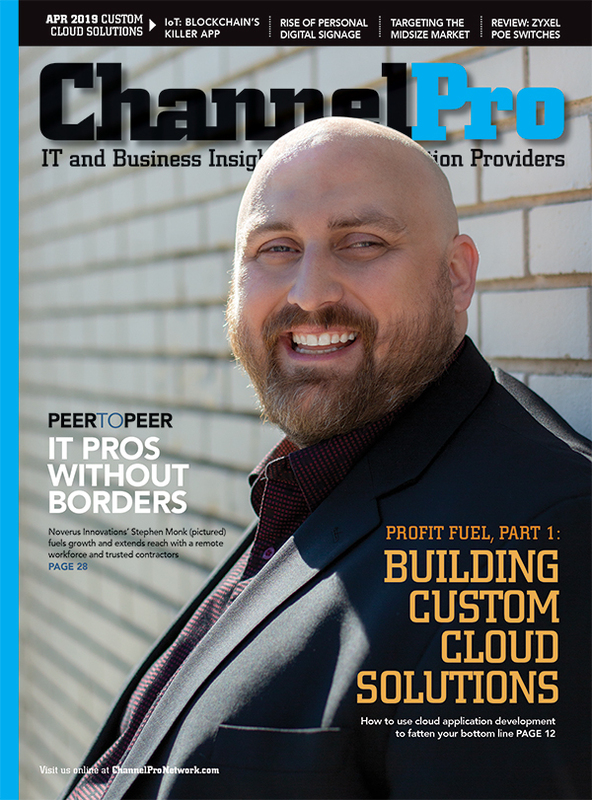 Thanks to all of you for following along with ChannelPro Network's Live Blog coverage! 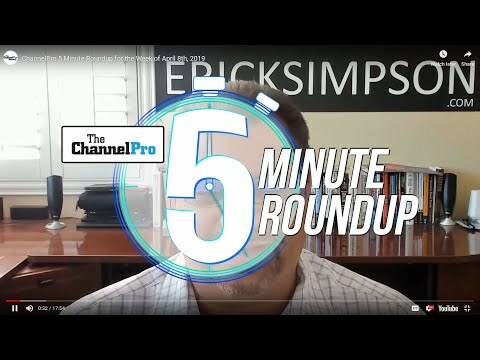 Stay tuned for more from HPE Discover 2018, and be sure to subscribe to our podcast ChannelPro Weekly, where Matt and Rich will discuss and break down the announcements today. 3:35 - Sponsors thanked. Vision stated "We see a world where all your data flows between all your edges and all your clouds Welcome to a world where everything computes." 3:30 - Lightning round. The panelists are talking about positive impacts they would like to see from AI. One talked about herbicide use from Farmers, using AI to recognize weeds vs. crops. Curing cancer, answers to the big questions of the universe, and many other suggestions. 3:24 - The final round is the River, where dreams are made and broken. In this case, they are looking 15 or more years down the road when AI is an everyday fixture. How will it impact hummanity? Will there be artificial intelligence that exceeds to the super intelligence level that will enslave mankind. They see that as a ways out, given that most AI is still fairly dumb, stating that they AI that plays poker will sit there and play poker while the building around it burns down. 3:21 - Next round is the Turn, which is AI in the next 5 to 10 years. What is needed to have AI in place everywhere? This seems like less about the technology or development of AI constructs, but the resources needed to get through the training stage. From there, the edge needs to use the edge to handle inferencing against working models for efficiency. 3:18 - Moving on to the flop stage, the near future of AI. That's bringing in a lot of new questions about ethics in AI, which they predict will take 10 to 100 years to get through. In jobs, they see that smart machines can bring massive improvements to productivity with the same number of people, but the value of people is even more important to help determine what is right, versus what is correct. Another panelist is stating that technology isn't good or bad, but how it's used. 3:15 - Talking about Lebratus, an AI that was trained to play poker (and ineveitably bested some of the best players), they trained it by making it play trillions of hands against itself. It wasn't very good at bluffing, but after tuning it and retraining, it was successful. 3:12 - They are relating the current state of AI to a round of Texas Hold 'Em. Today, we're in the pre-flop stage in AI, getting started, identifying needs, starting to write constructs that learn and adapt. Lots of data is needed to train machines... and something about dolls. 3:10 - Lisa Martin, Host of the Cube. Beena Ammanath of HPE. Liv Boreree, a pro poker player. Dr Eng Lim Goh, HPE Cheif Technology Officer. 3:07 - Humans can't keep up with all the data, which is why AI will be increasingly important in the future. New panel coming up to discuss AI. 3:05 - HPE plans to deliver this new memory driven computing as a service running on some of the "baddest" HPE servers. For those looking to start seeing how it can be used, there is a Memory Driven Computing Sandbox available to partners and developers today. 3:03 - "From any edge, to any cloud." They bill it as a single archeticture that can handle everything from nanoscale to exoscale. 3:02 - HPE announces "Memory Driven Computing." They believe it's going to change everything, and HPE is the only company that implement it. 3:00 - "Data is the new Currency." Today, HPE has deployed 120 of the top 500 supercomputers in the world, and are launching the largest ARM based supercomputer in the world in conjunction with the US DoE. 2:59 - "Bring us your hybrid cloud strategies and challenges. HP is uniqely positioned to help." 2:56 - Nothing pulls heartstrings like sick kids, and so they're talking about how they helped Texas Children's Hospital move to a hybrid cloud that helps with all aspects of childcare, saving lives, etc. 2:54 - Using Trust Power as an example now, HPE has helped them migrate 2 million applications to a consumption hybrid cloud. The result was lowering costs and complexity, which enabled them to increase services and lower prices. 2:52 - 2/3 of enterprise customers have ended up with a hybrid deployment by accident, which leads into HPE GreenLake Hybrid Cloud announcement. This allows partners to deploy workloads on a consumption basis to a variety of public cloud solutions like AWS, Azure, Google, etc. They call it "One Common Hybrid Cloud Model"
2:48 - "The industrial sector is undergoing massive changes thanks to digital innovations, bringing opportunities and challenges." They're using CenterPoint Energy, an electric company in Texas, who is using IoT to generate more data thanks to deploying 2.4 million smart meters. Partnered with HPE, they can respond more quickly to outages, efficiences, more than 70% faster because they can use the data in real-time. 2:44 - Talking about a new Edge to Cloud product aimed at creating entirely new experiences for fans, and how Aruba's offers can bring wireless connectivity to over 50,000 fans at once, enabling new, state-of-the-art digital experiences. 2:42 - Talking about FIFA World Cup now, asking what's more exciting than a futbol match. Half the audience agrees, half doesn't. 2:38 - HPE Announces Software Defined WAN as part of their Aruba Software Defined Branch gateway. We caught a brief on this earlier, and we'll have more to share over the coming days. In fact, they say they already have more than 200 million software defined gateways. 2:37 - Antonio believes the rise of the intelligent edge is the next big opportunity, with more than 70% of data being created at the edge over the next several years. 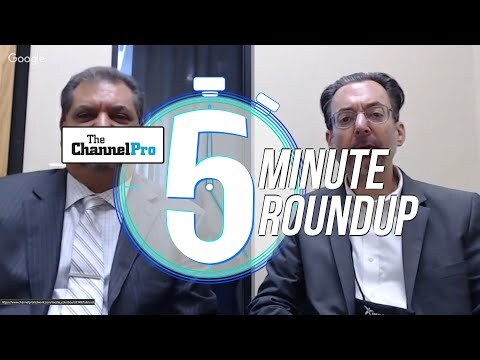 2:35 - Jeff and Antonio are talking about why they are great partners, how HPE is transforming Ford... compliments flying back and forth... big businessy words. 2:32 - Asked how the edge can improve their business, Jeff says their fleet networks will be fully connected and feeding back insights to make them more efficient. "It's not technology for technology's sake, but about how technology impacts customers." 2:30 - They visualize a central transportation system with connected vehicles and smart technologies interacting. 2:27 - Jeff Lemmer, CIO of Ford, joins Antonio onstage to talk about how data-driven approaches and the edge of computing are impacting Ford. 2:23 - HPE Announces announces 4 billion worth of investment in intelligent edge over the next four years. That's a billion a year for those who are math challenged. 2:21 - Another video, highlighting the vision of the Edge. Quite epic, quick cuts between eagles, a dude standing on a van trying to get struck by lightning, deep movie announcer voice. 2:19 - The Enterprise of the future will be Edge-Centric, Cloud Enabled, and Data-Driven. 2:16 - They see the future transitioning from centralized mainfraim to an intelligent edge. The amount of data being generated will double in 2 years. 2:05 - HPE announces they've sold over 1 million HP OneView licenses. 2:00 - Day 2 general session begins with HPE CEO Antonio Neri takes the stage to kick things off.